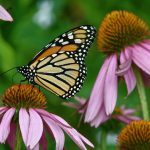 PJ Liesch talks about the bumper crop of monarchs in 2018 and what that might mean for 2019. 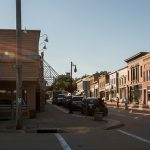 Tessa Conroy talks about what makes Wisconsin’s rural economy different from the urban economy. #FlashbackFriday Phil Townsend tells us how citizens can help scientists quantify wildlife across the state. #FlashbackFriday. Mark Berres talks about bird watching and bird feeding in Wisconsin. 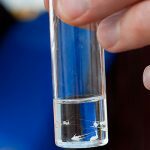 Bret Shaw shares tips on how to prevent the spread of the invasive spiny water flea. Malia Jones talks about a news analysis that shows Wisconsin poverty on the upswing. Scott Sanford discusses how to determine if switching to wood energy is practical for your home or business. At least 65 percent of Wisconsin’s schools participate in the Farm to School program. Vanessa Herald explains how this program encourages healthy lifestyles in children and increases market opportunities for Wisconsin growers. 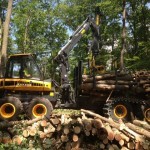 Mark Rickenbach talks about Wisconsin’s logging industry and the future of small logging businesses in the state.